The day to celebrate fathers has been a very sore spot to me. The anger I’d always feel around this time of year was so bad that points, I’d stray away from being around anyone and just be alone. Now though, I’m going to finally send my dad my first father’s day card. My mom and dad are not together. So every Sunday was the one day in the week growing up that I was excited about; I remember waking up those days and just rushing getting ready to see my dad. At first, it was every weekend where I got to spend the day with him, telling him all about my friends and my week adventures. As time would go on, it got less often I would see him. On those days, I cried when I was younger because he never told us that he wasn’t coming. I just broke down in tears worrying what I did wrong or why he didn’t show up. It got so bad that I just didn’t want to see my dad & just didn’t care anymore. I finally took the advice of my closest friends and just stop letting him hurt me. I grew up despising him and the whole day. In the past four years, I have started over with my dad and took all the conversations and the few get togethers with him for what they were. Good moments and conversations. My dad does live four hours away and I never get out to see him enough. I can say that he will be overjoyed with excitement when I send off the card. I can finally say I will be happy today and not just hate this day like I used to. ← If you had more time/money, What would you do? I can understand where u.are.coming from hating thus day. I hsed to as well. My father left me before my 2nd bjrthday and never heard from him again until July 2007. We seem to have a good relationship now thou. So thats good i guess. 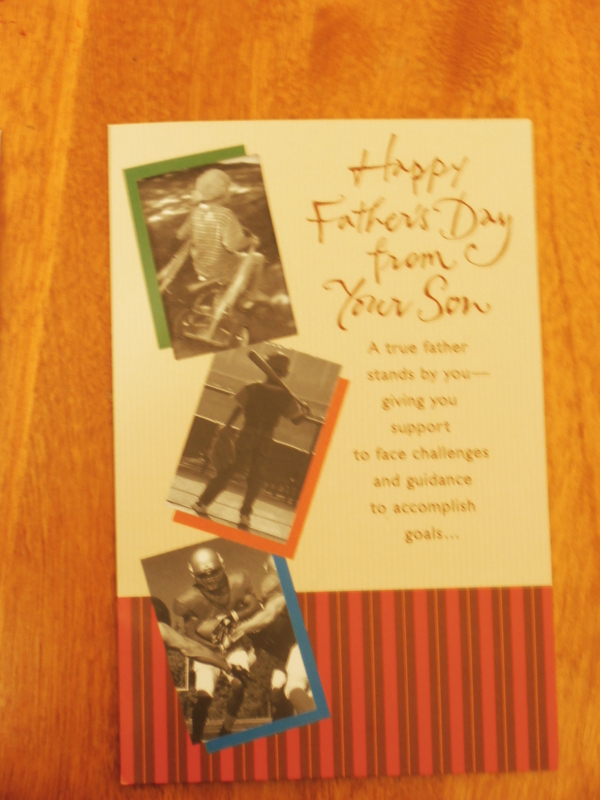 Congrats to you on sending your dad your first fathers day card. Thank you! It means so much to me. I mailed it today. congrats on this great moment. I know it must have been hard on you. Thank you! It is a milestone in my father’s and mine relationship! Thank you for the kind words! I’m so happy that things betwween us are better than they have been before.. I plan to be sending him more cards.